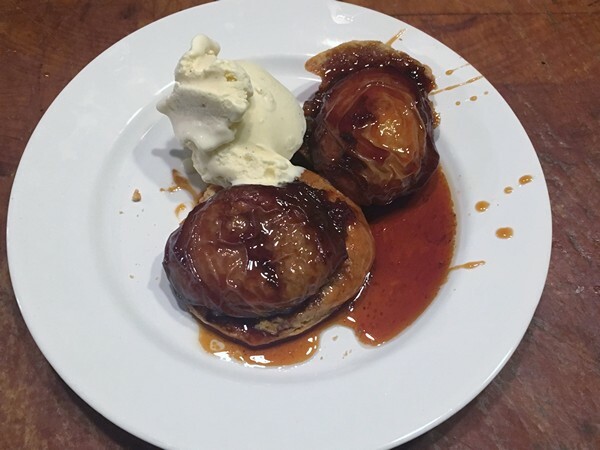 Caramelized peaches became one of those recipes that I’ve used a lot in the past and then somehow got lost in the shuffle. Which is a shame because they’re so good! Cut the peaches in half and pit them, set aside. In a large heavy-bottomed pan, add sugar, corn syrup and just enough water to dissolve the sugar. Bring to a boil over high heat. Cook until sugar caramelizes and becomes a deep amber color. Keep an eye on it as it can go from good to burnt in an instant. Add the chilled butter, a few small pieces at a time, whisking constantly until all the butter is emulsified into the caramel. Place the peaches, cut side down, in one layer in the pot with the caramel. Cover pot with foil and roast for 20 minutes. Remove foil and cook for an additional 5 minutes. Remove from oven and let rest 5-10 minutes. Serve with your favorite ice cream and enjoy! My verdict: I’d forgotten how good this was! As much as the Accidental Locavore loves biting into a perfect peach, there’s something about cooking them that’s equally wonderful. 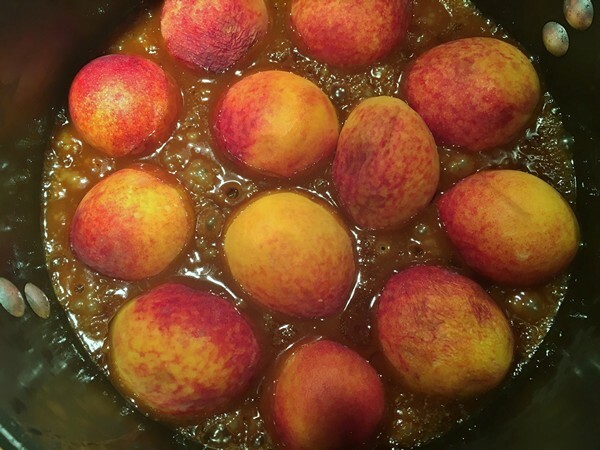 While this is a great go-to recipe for less-than-perfect peaches, it works even better with ripe ones, and if you can get freestone peaches, it’s a huge help. I did this as my version of peach shortcake with buttermilk biscuits and vanilla ice cream (homemade) but you really don’t need the biscuits, it’s wonderful just with ice cream. I have an idea about putting the pot on the side of a hot grill instead of in the oven…for that touch of smoke and so I’m not heating up the kitchen, but haven’t tried it yet. What do you think? Previous post: Is This the Most Useless Kitchen Utensil Ever?